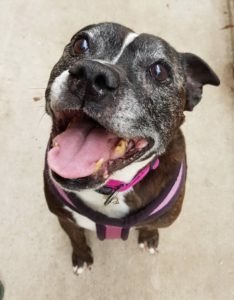 Delightful Dora the Staffy is 14 years young and is an absolute little superstar who is looking for a dream retirement home. 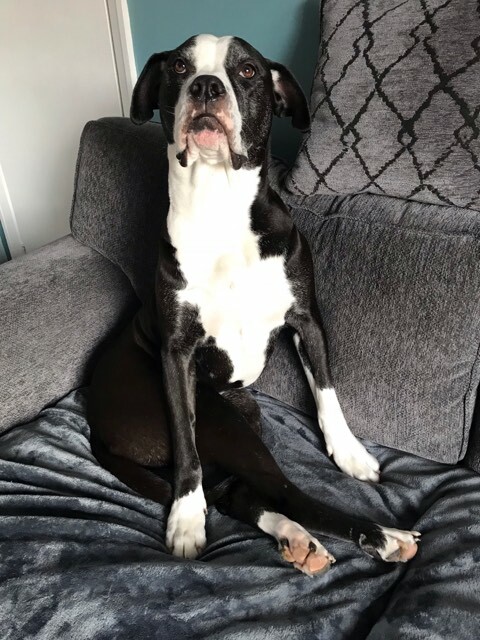 She arrived with us from a stray pound – dumped at age 14 but hasn’t let that affect her and she is the most loving, happy girl you could meet – a true Staffy and testament to her breed! 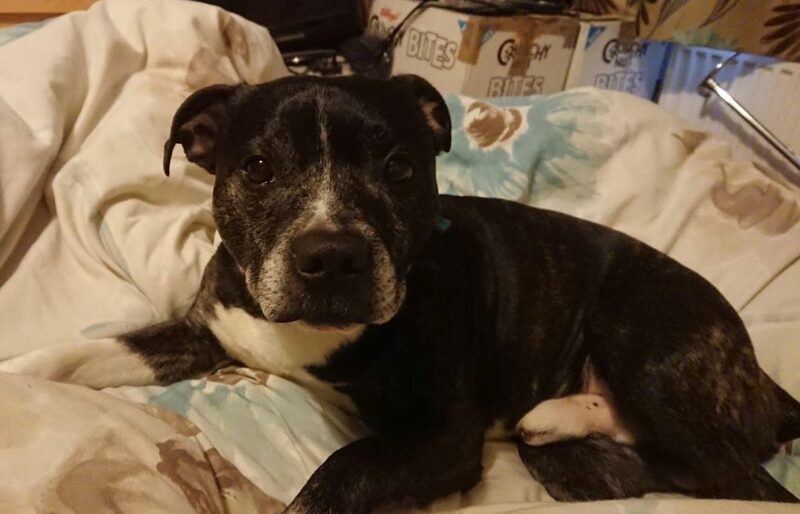 Dora is now living in a foster home where she’s doing great, she’s very well behaved and no trouble at all. 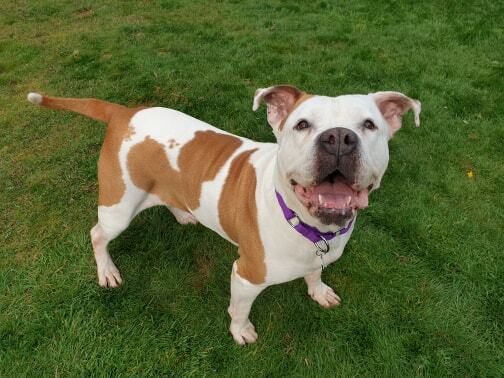 She is absolutely fine to be left for 4-5 hours at a time, fully housetrained and loves to play with her toys! Dora also still enjoys a nice walk, she walks really nicely on the lead (no pulling at all) and shows no issues around other dogs. 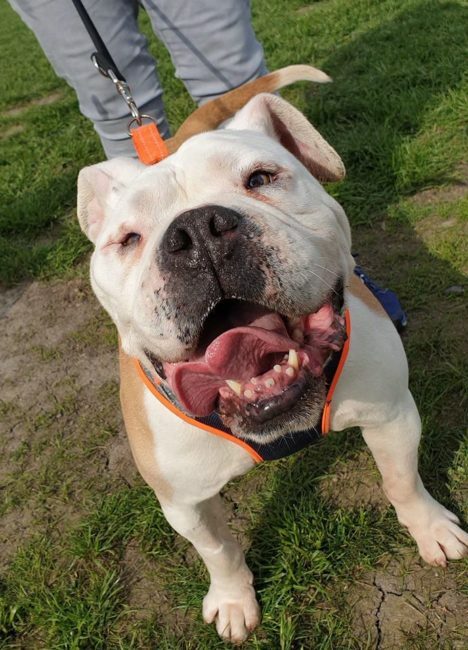 Dora came to us with kennel cough, so she hasn’t been able to meet other dogs up close yet but this has just cleared up so she will be further assessed around other dogs ASAP. We think she could potentially live with a calm male dog with correct introductions. She has shown no problems at all around children. 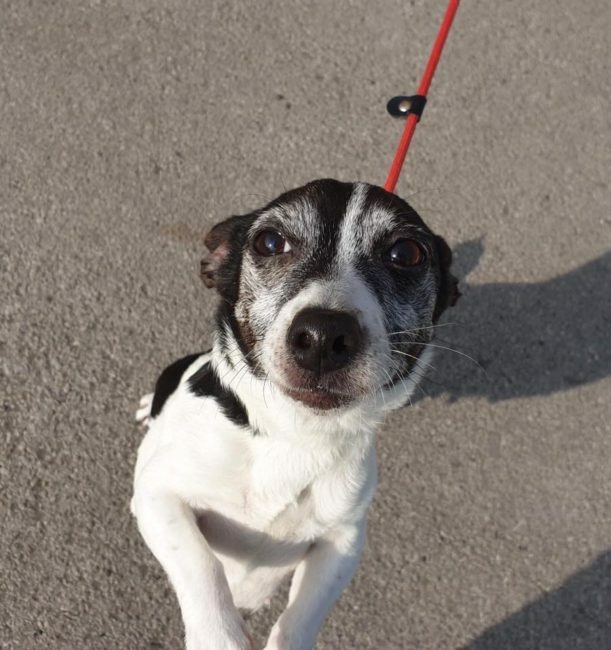 As she’s getting on a bit, she’s quite hard of hearing, but has no major health issues at all and with the correct loving care, she has plenty of life ahead of her to enjoy. 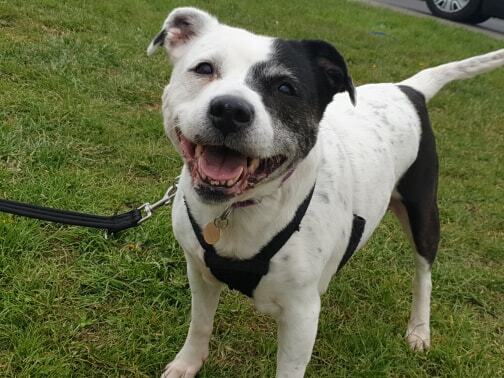 Dora really needs to find a forever home ASAP where she can settle into her retirement and get all the love and care that she deserves after all she’s been through.